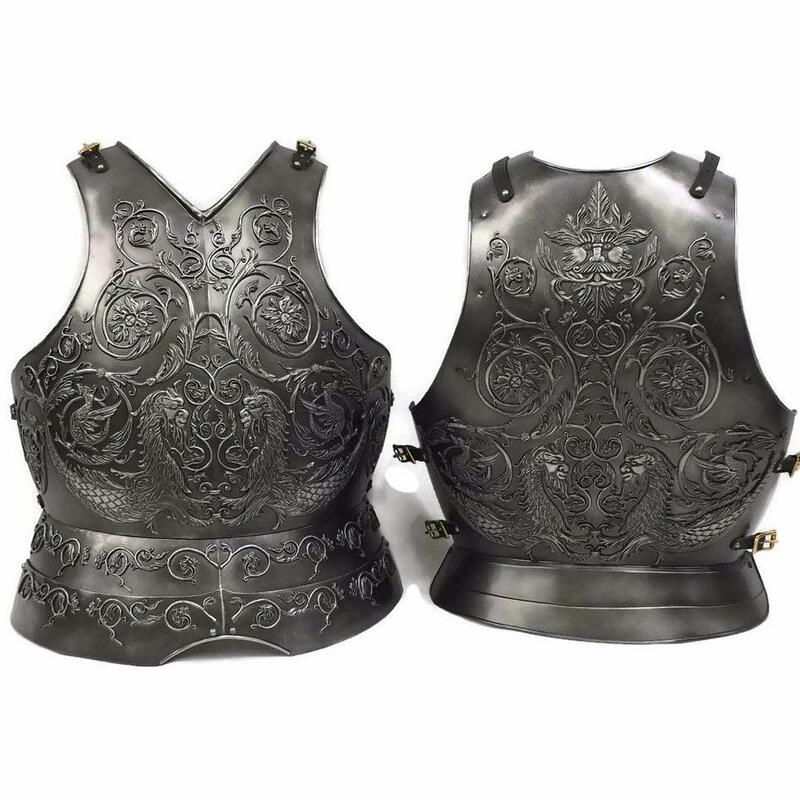 Highly decorative cuirass based on the work of Filippo Negroli - a 16th Century Italian master armourer. 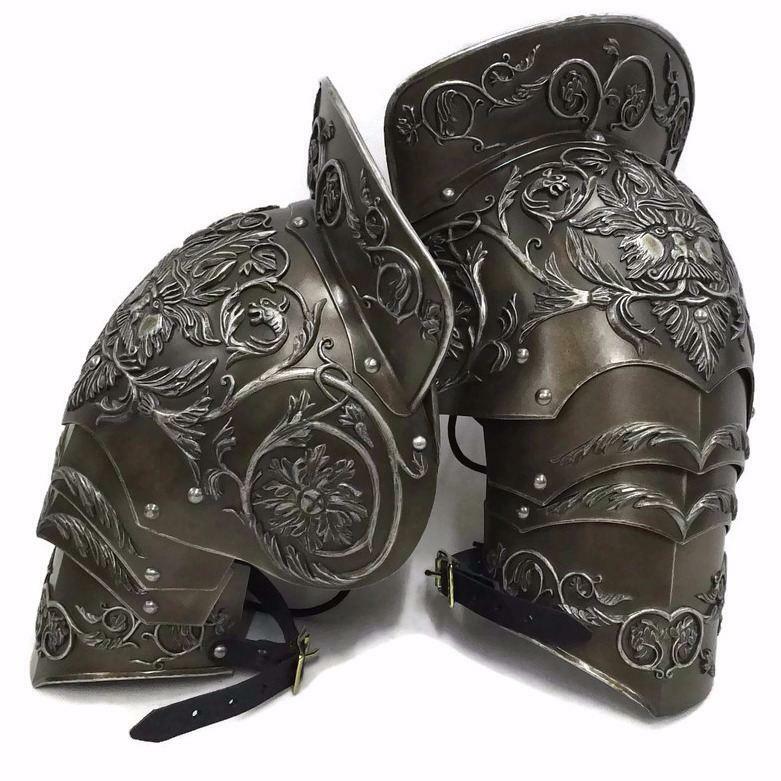 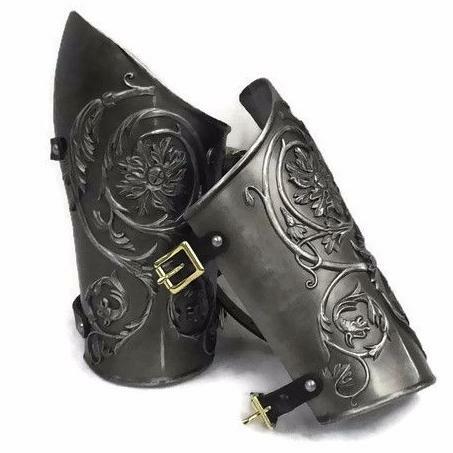 Matching Bracers, Greaves and Pauldrons available and also available as a complete set. 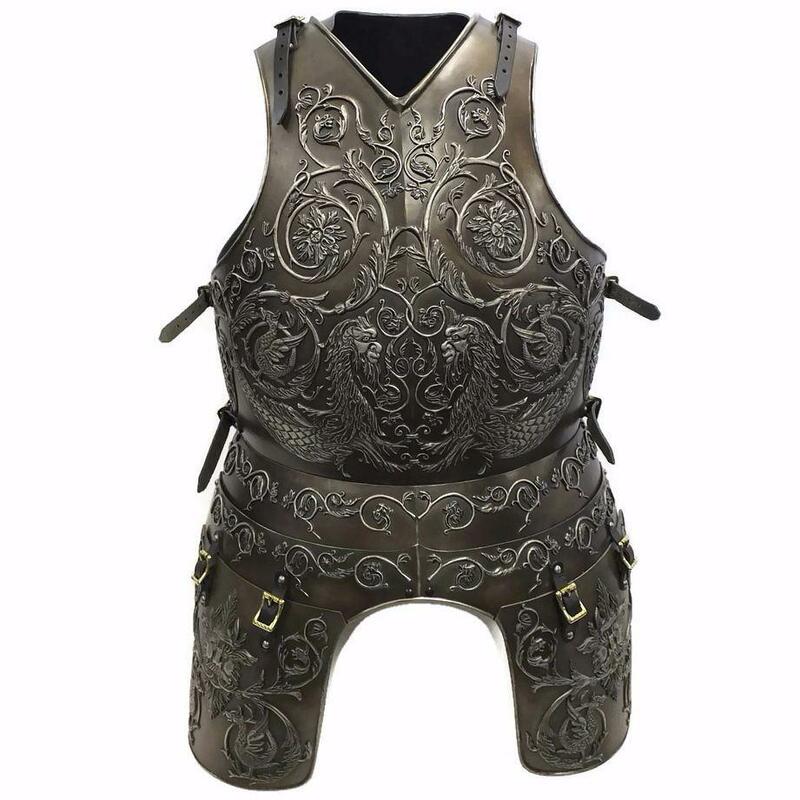 Cuirass is covered in an embossed design comprising of Acanthus scrolls and fantastical beasts. 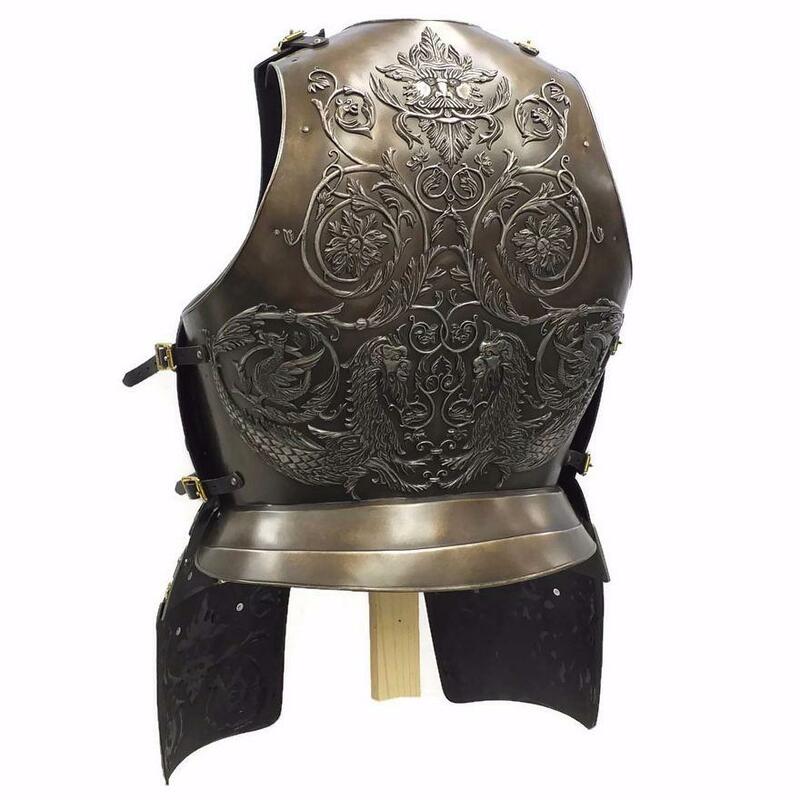 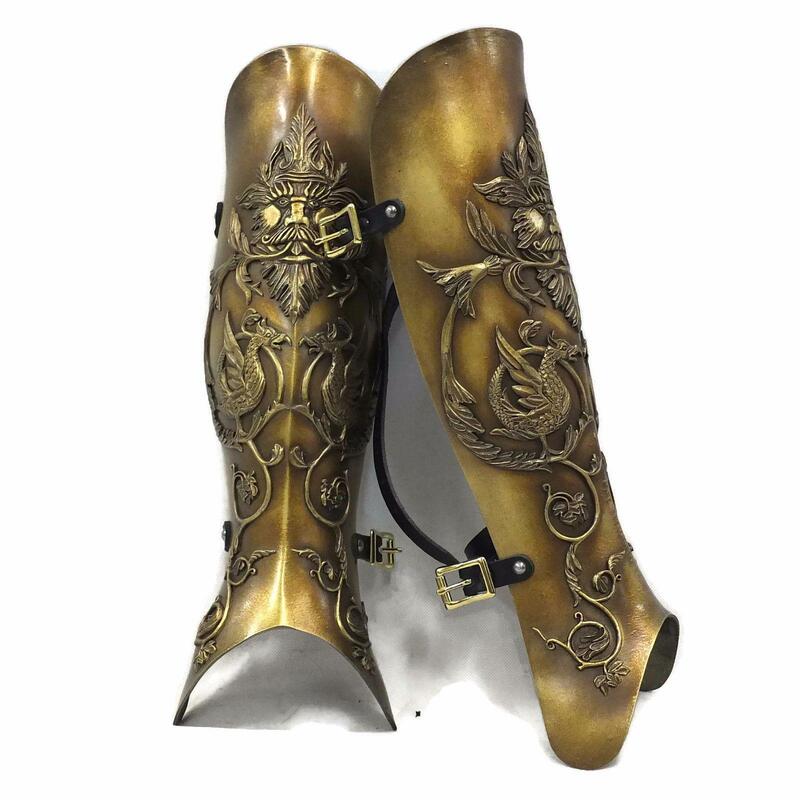 Backplate and breastplate supplied, all with brass buckles and black leather straps. 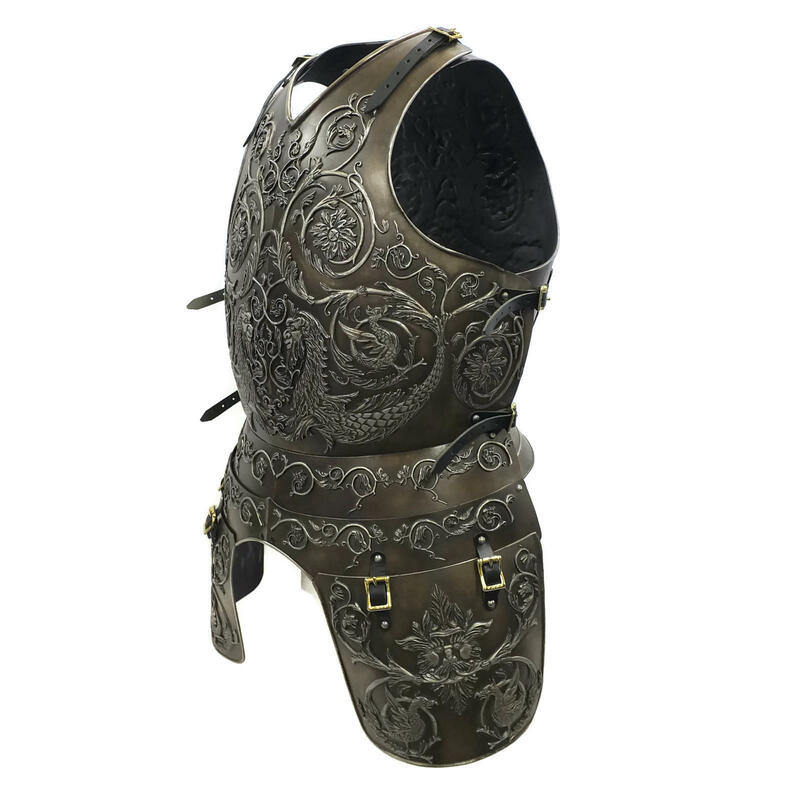 Available with or without optional tassets. 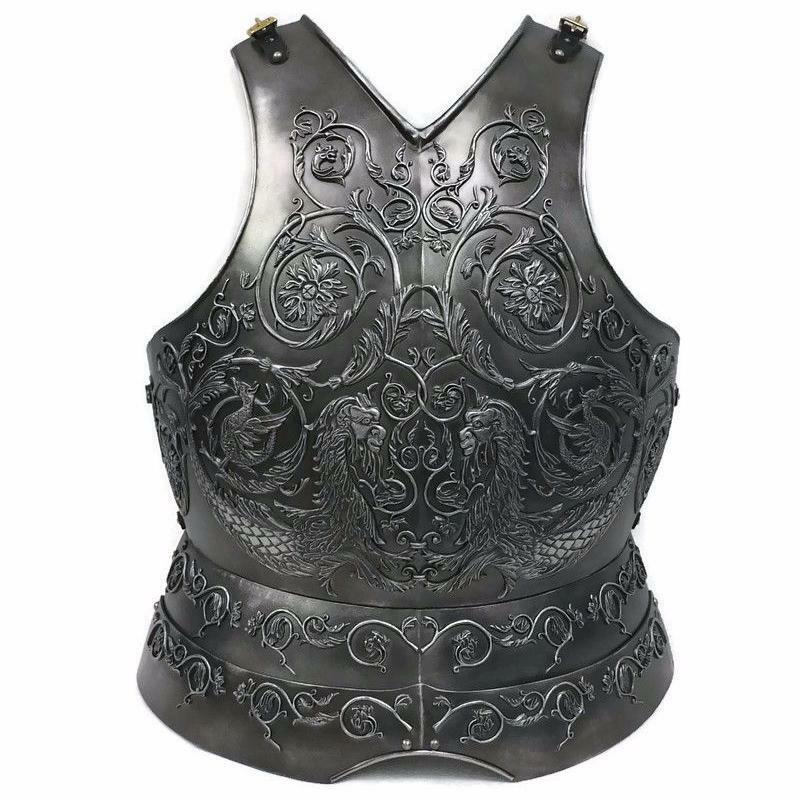 Will fit up to 48" (122cm) chest and 42" (107cm) waist.